With the onset of the dry season in northern Nigeria (Oct-March), Boko Haram attacks have been on the increase. 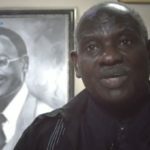 Yaga Yarkawa, the chairman of the Chibok Local Government Area – infamous as the scene of the kidnapping of hundreds of schoolgirls two years ago – told journalists on Tuesday (22 Nov.) in Maiduguri, capital of Borno State, that fighters are overrunning villages near Chibok, forcing hundreds of people to flee as they loot and burn properties. “Chibok is now under Boko Haram siege,” Yarkawa said. The accounts of Boko Haram violence around Chibok, along with multiple suicide bombings in Maiduguri and attacks on army outposts in the area, raise doubts about claims by the military and government that the seven-year insurgency is nearly defeated. 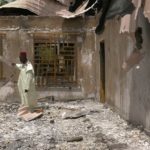 Nine villages within 25km (16 miles) of Chibok have been razed in the past two weeks, with the most recent attack in Thlaimaklama village at the weekend, Yarkawa said. Boko Haram is employing scorched-earth tactics, rustling livestock, looting crops just ready to harvest, and burning homes and what crops they cannot carry, he said. “Contrary to claims by government and security operatives, Chibok is not safe,” he added. 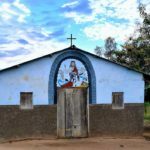 Many of the villages are on the fringes of the Sambisa Forest, where Nigerian security forces have been carrying out near-daily air bombardments and ground attacks, in which they have freed thousands of Boko Haram captives and cut food supplies. The forest stronghold was where Boko Haram initially took the 276 schoolgirls in April 2014. Nigeria’s government last month secured the first negotiated release of 21 Chibok girls. Before that, a Chibok girl escaped captivity in May, then another was rescued earlier this month. The government says it is negotiating with Boko Haram for the nearly 200 girls still in captivity.